Check out our newest collection of Casablanca dresses that just arrived at our Denver location! 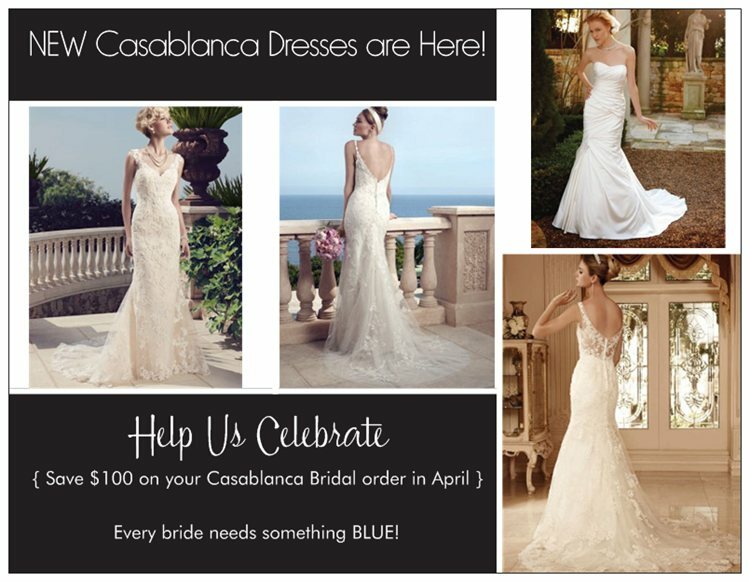 To celebrate, we are offering $100 off any Casablanca Bridal order during the month of April! We also have a trunk show on April 26th, where you can see the full collection of their best-sellers, in the store for one weekend only! If there is a dress you are looking for, give us a call and we may be able to order it in for you for the trunk show!